T I R A M I S U is my favourite dessert. I could eat tiramisu E V E R Y single D A Y. But because this dessert is VERY high in calories and fat, I prepare it only occassionaly. I have found this particular recipe on some italian website few years ago and must say since then everyone who tasted my tiramisu dessert just loved it! And you can try it too! It is simple and delicious. Let´s do it! Mixing Bowl (I use one from Le Creuset click here which I totally fell in love with! First whisk egg yolks with the sugar until you get nice pale colour mixture. Put the egg whites into a mixing bowl and mix them with a hand mixer until they get nice and firm. Now, stir in your mascarpone into the egg yolk mixture - but make it slowly and gentle. Fold in the egg whites. Meanwhile make your espressos, let them to cool down and put them into a bowl. Add the almond liquor Disaronno into it. 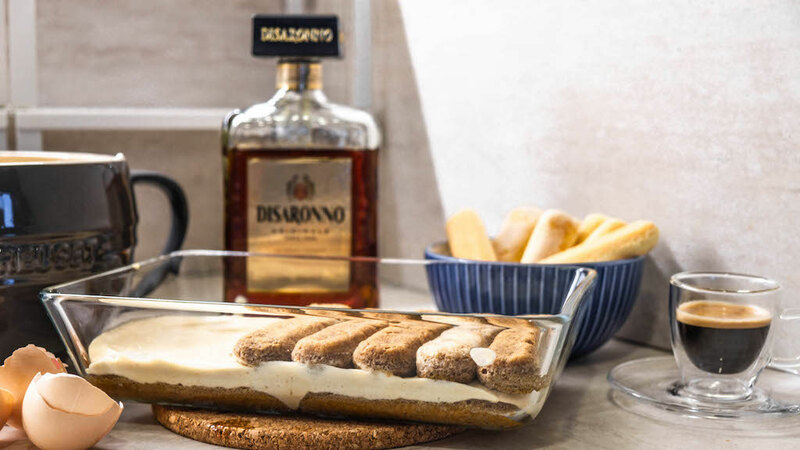 Start off layering your tiramius by soaking your savoiardi/ladyfingers biscuits into the espresso mixture and fill out bottom of your glass dish. After that, place the first layer of your mascarpone creamy mixture on the top of the savoiardi. Repeat the first step and put another layer of savoiardi on the top. You want to make at least 3 layers of each. (Soaked savoiardi + mascarpone creamy mixture). 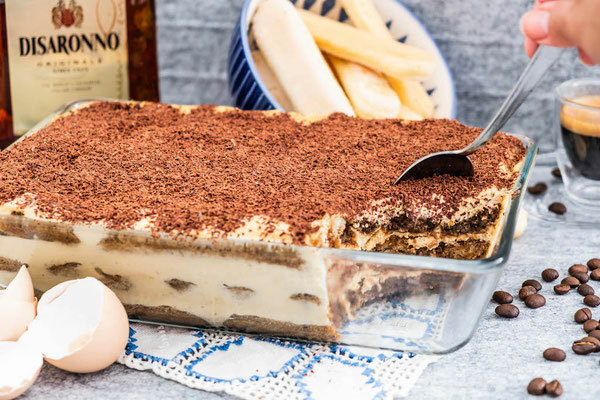 After you finished your tiramisu with a layer of mascarpone mixture on the top, grate some of the cacao paste over your tiramisu. Let to sit in the fridge for at least 3 hours.